November 20, 2017 December 29, 2018 - by Owen - 3 Comments. 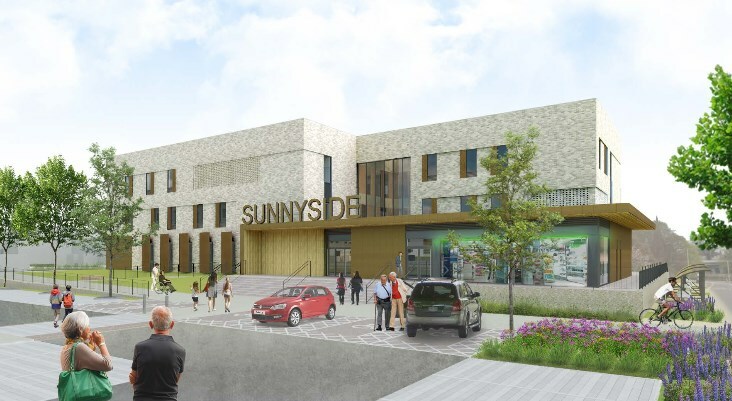 It’s one of the most-complained-about policy decisions taken by Bridgend Council in a long time. As the new seven-year waste collection contract with Kier has had about six months to bed in, a Scrutiny Committee will discuss the issue on Wednesday morning (22nd November). Apparently, that meeting is going to be webcast. If so, when I have the time I’ll write up a summary of what was said. In the meantime, I’m going to focus on the officer’s report which outlines in detail the positives and negatives of the new contract and also answers some key questions (pdf). 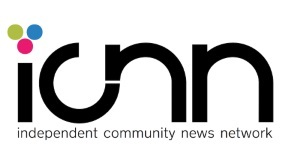 The performance of the contract has “improved significantly” since it was first rolled-out. The kerbside scheme “is a success”; BCBC’s household recycling rate rose from 57% in July-September 2016 to 73.5% in July-September 2017. 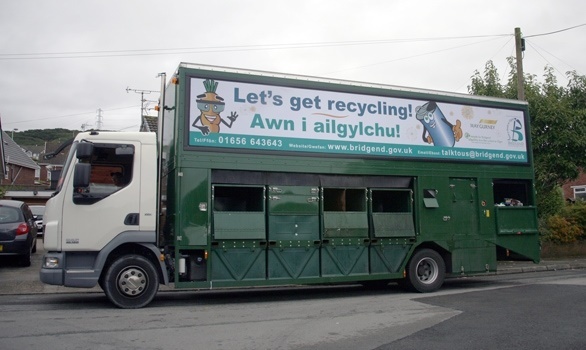 The amount of waste recycled at Community Recycling Centres has also increased by a combined 234 tonnes in the first three months of the contract. Kier is supposed to be consulting with residents in “hard to collect”/narrow street areas (i.e. Wildmill) to come up with a solution to missed and communal collection problems. Households are able to arrange for “discreet” collection of purple bag waste after a visit by a supervisor; they can also double-bag without penalty. 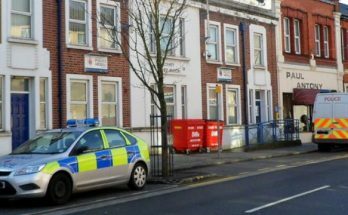 Enforcement officers (“bin police“) are concentrating on education instead of fines/punishments and have undertaken an education programme alongside housing associations and others. The “tip” at Tythegston is due to be replaced with a modern facility at some point. 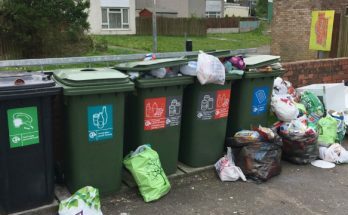 BCBC accept the performance in the first few weeks/months – missed collections, poor service by the call centre and delays to receiving new recycling equipment – was “unacceptable” and “worse than expected”. Significant pockets of underperformance remain and it tends to happen in the same streets; BCBC and Kier are meeting regularly to come up with solutions. Recycling performance is expected to slip unless there is a “stricter interpretation of the waste policy” in the near future (i.e. fines start being used). There has been a “small increase” in fly-tipping since the start of the new contract; it’s unclear yet what the long-term trend is as some incidents of fly-tipping were, in fact, missed collections. Neighbourhoods where waste is collected communally (i.e Wildmill) perform poorly. For health and safety reasons it’s still not possible for waste collectors to access some streets and lanes. Collection times for absorbent product recycling (“purple bag”) continue to change as an extra 100 households sign up to the service every week. There’s been “scatter gun” approach to complaint referrals by councillors which have resulted in confusion and duplication; the call centre still receives “a few hundred calls” a week. Collections times could change again when Kier introduces new vehicles by the end of the year. Refuse collectors and staff at recycling centres have been abused by members of the public who don’t support the new scheme; on-person cameras may be introduced. 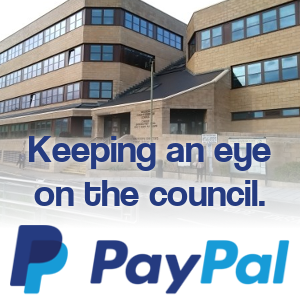 Just to repeat that if the Committee meeting is webcast on Wednesday there’ll be a follow-up post outlining what councillors and officers had to say. 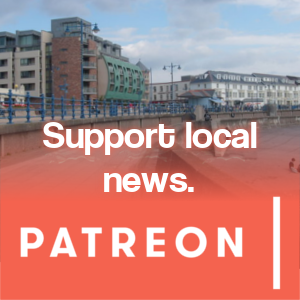 Next Article Rubbish Collections Report: What did councillors have to say?